Sensational Kids’ occupational therapists support children of all ages to address issues affecting their participation in everyday life. Our occupational therapists combine play and fun with evidence based approaches. Their individual and group programs are developed to address sensory processing challenges, fine and gross motor skills including handwriting, and daily living skills such as toileting, dressing and eating. They also promote confidence, independence and emotional wellbeing for children and families. Joan graduated from University of the Philippines in 2010 and has since worked with children as an occupational therapist. She moved to Melbourne in 2016 to continue her passion – she has a special interest working with children with sensory processing and motor difficulties, vision problems, social skills challenges and feeding issues. Joan has attended trainings and workshops in Social Thinking, reflex integration, kids yoga, feeding and dysphagia, among other things. She is also a family-centred practitioner who constantly aims to empower and guide families in supporting their children’s development. Joan is based at our Ormond site and works one day a week at Moonee Ponds. Lani graduated with a Bachelor of Occupational Therapy from Australian Catholic University in 2015. After university, she spent time working in a Special Development School, which is where she discovered her passion for working closely with children. 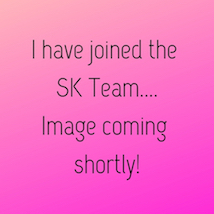 Lani joined the Sensational Kids team in March 2017. Since then, she has developed a special interest in assisting children with fine and gross motor difficulties, sensory processing challenges and Autism Spectrum Disorder. Her bright and bubbly personality helps her to build rapport quickly with children and their families. Lani believes in family-centred practice, and aims to support child development through a playful therapy approach, tailored to meet individual needs! She works at our Ormond site three days per week. Grace graduated from Monash University in 2016. After graduating Grace gained experience while spending time in Nepal working with disadvantaged children. Grace has an interest in working with children with fine and gross motor difficulties, social skills and sensory integration. Grace believes in family centered approach and enjoys making therapy a fun and playful experience for children. Grace works at our Ormond site. Elise graduated from LaTrobe University in 2018 and pursued her career due to family connections with pediatric occupational therapy services. She has a special interest working with children with sensory processing and motor difficulties, emotional regulation, social skills challenges and schooling issues. Elise is firm believer in family-centred practice and using a holistic approach for treatment to empower and guide families in supporting their children’s development. Elise is based at our Moonee Ponds site Monday to Friday. Ingrid Levin graduated from the University of Durban-Westville (South Africa) in 1995, and has since worked with children as an occupational therapist in remedial schools, and in her own private paediatric practice over the last 23 years. She relocated to Melbourne in 2018 with her family. Ingrid has a special interest in working with children with sensory processing disorders, gross-motor difficulties, delays in the development of fine-motor skills and in visual perceptual difficulties. She has a strong belief that all children are able to reach their full potential to be the best that they can be, with the fun, play-based therapy intervention she provides. She believes that the support a child receives from his/her carers both at home and at school is essential for the therapy process to be a success.